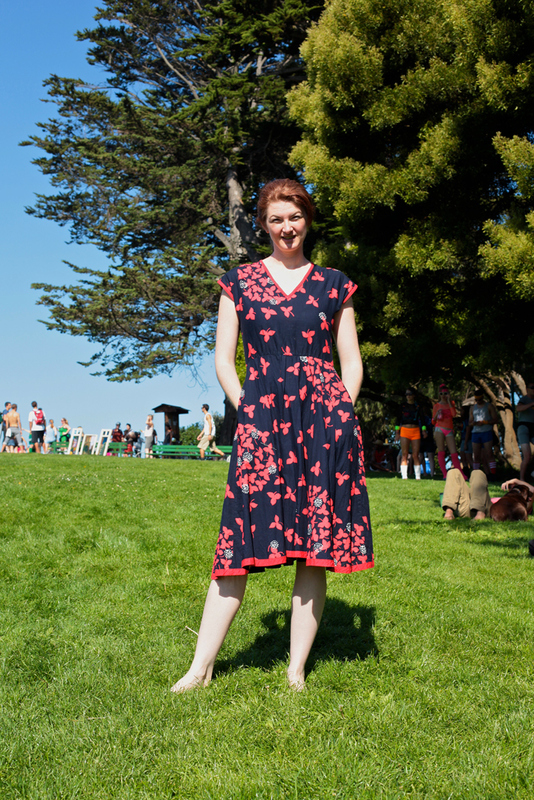 The always lovely and talented Maggie Mason was wearing a gorgeous vintage dress (check out that fabric with the white dandelions) on a warm SF day when I ran into her in Alamo Square. And yes, Maggie's been on the site before and she's even contributed in the past. The lady has got style in spades. Another one of her apparent super powers? Maggie looks great in photos, even when she's facing the hot sun. Grown-up mary jane's in the grass. 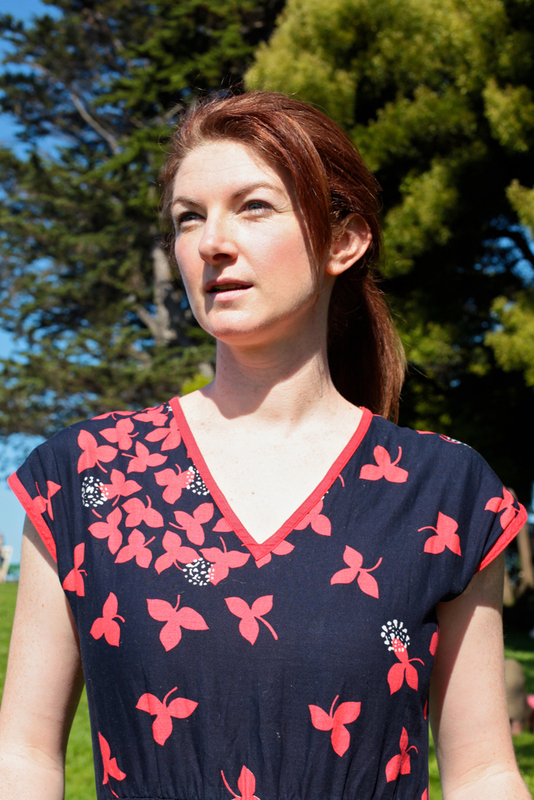 Also, extra points for dresses with pockets. Pockets are heaven.